All tenancy agreements for apartments or rooms in the halls of residence are limited in time. Occupancy in a hall of residence is always limited. There are different regulations for the length of occupancy of the various types of rooms. If you wish to apply for a type of room or apartment that is in great demand, (e.g., single apartments) you will have to accept a short maximum occupancy. On the other hand, applicants or tenants of traditional halls of residence with shared sanitary facilities can expect to benefit from more favourable regulations. However, once you have gained your first degree (or dropped out), the time has come for every tenant to move out. The current evaluation is especially dependent on demand, which is – according to experience – subject to variation. Of course it is obvious that non-locals as well as first-year students from foreign countries have a lot more difficulties finding accommodation at the start of a semester than those who have made contacts after a few semester and know their way around. 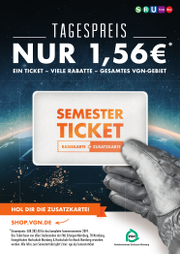 This is the reason why Studentenwerk have often introduced special regulations for the winter term, which are supposed to help provide as large a number of rooms and apartments for those first semester students who are unable to commute between their hometown and their university. This means that expiring tenancy agreements generally won’t be extended. In the past, it was sometimes possible for students who had already completed their core studies to be admitted to a hall of residence. (e.g., graduate students, or students who enrolled for a second degree). These students must reckon with their tenancy agreement not being extended. The following regulations currently apply for tenants of single apartments: if it is your first time in a hall of residence, your tenancy agreement is limited to 6 semesters. An extension to your tenancy agreement for two more semesters is only possible if Studentenwerk evaluate the demand for housing such that sufficient accommodation for new students can be expected at the start of the next semester. We regret to say that this cannot be guaranteed in all cities at present. Current regulations for tenants of single rooms (with shared sanitary facilities), double apartments and apartments for groups or families are as follows: if it is your first time in a hall of residence, your tenancy agreement is limited to 6 months. An extension to your tenancy agreement is possible for the regular length of your course, up to a maximum of when you receive your degree. 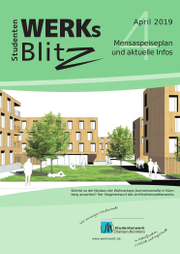 However, this is only possible if the current demand allows Studentenwerk to ensure that there is sufficient accommodation for new students at the start of the next semester. In the past, this system has worked out but we cannot rule out changes in the future. There are special regulations regarding the length of occupancy for families with children or physically disabled students. Naturally, in addition to the situations mentioned above, all other conditions must be fulfilled for the justification of en extension to the tenancy agreement, dependent on the personal situation of the student, the state of their studies and how their studies are expected to progress. Tenants who have, for example, disturbed the harmonious communal life in a hall of residence to a great degree or repeatedly, or have neglected their duties, cannot expect to have their tenancy agreement extended. There are special regulations for those tenants who were admitted to a hall of residence through a special admissions programme or procedure other than the regular application procedure (for example, the special reservation programmes for students who have been granted an ERASMUS or SOKRATES scholarship of the European Union). In this case we are strictly unable to extend tenancy agreements. The necessary application forms for single applicants, or for tenants of double or family apartments, are available at the WohnService (Housing Service). Applicants from Ansbach or Ingolstadt can also get forms from their caretaker, or can download them here. Please note the deadline for application: The application form must be handed in to the WohnService in charge 4 months before expiration of the tenancy agreement at the latest! Please fill out your application legibly (use block letters) and completely, and please also don’t forget to sign it. Please notice that tenancy agreements normally run until the end of a semester. If your application has been accepted in whole or partially, we will send you an offer of a contract. Please sign both copies of the contract, and return them quickly (within a week). Unfortunately, we have to exclude contracts which are not returned on time, thus the best way of delivering the contract simply is to hand it in to the caretaker. As soon as the counter-signature has taken place, a copy of the contract will be returned to you. If your application is not accepted, you will be informed in writing as soon as possible. Inquiries as to the status of your application should be made 2 months before the expiration of your tenancy agreement at the earliest, if you have neither received a contract, nor a letter of rejection (and your application was handed in on time). If you have any further questions about your application please contact the WohnService administrator in charge of your hall of residence.